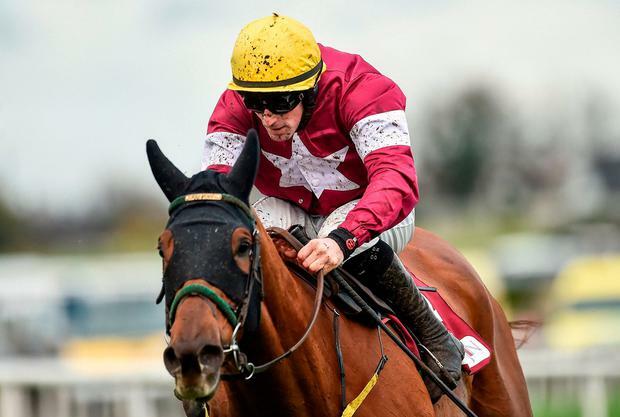 ROAD TO RESPECT’S JUMPING A CONCERN IN THE GOLD CUP? His old adversary Bellshill claimed supremacy on Sunday at Leopardstown, as he did last April at the Punchestown festival however the margin this time round was a minimal in contrast to their previous encounter. The manner of triumph for Road To Respect on seasonal recurrence at Down Royal racecourse in November screamed out Gold Cup candidate however his credentials seemingly haven’t been tested yet again against more superior thoroughbreds. Yesterday’s race at Leopardstown he made far too many novicey errors, every blunder cost him a half-length or more in the finish. Jockey Sean Flanagan was supreme on him, every mistake he made Flanagan was speedy to put him on the straight and narrow again. The sheer fact to finish a short-head 2nd in a ding-dong finish is an acclaim to determined Flanagan skills in the saddle. I deliberate Flanagan rode the horse extraordinarily well under the tricky circumstances. Serious gold cup contender? I am not convinced that he will not get away with them mistakes at Cheltenham. It appears to be only a matter of time before he has a nasty fall. Road To Respect is a fantastic horse however when he is bad, he is appalling and vice versa with being good. The inconsistency of his jumping on Sunday is a foremost worry, so close to the pinnacle festival date you would have to be apprehensive. Jockey Sean Flanagan appears to have his work cut out to win the race however there is no more willing man up to the challenge. I really hope Road To Respect runs a good race and comes home safe and sound, he is an all-heart horse, who deserves a big success. Previous RACING TV PRE-PAID CARD?